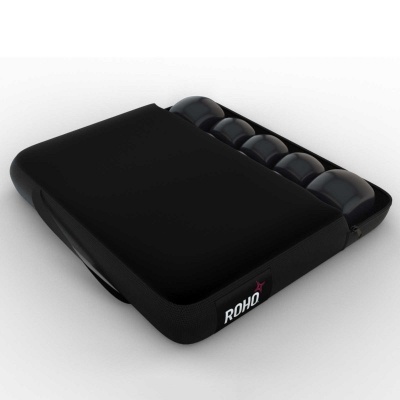 The Roho Mosaic Pressure Relief Cushion compromises of 3" interconnected air cells that are inflatable and adjustable, meaning that the individual can cater pressure to their own needs. This basic pressure relief cushion is perfect for low pressure risk clients, as the lightweight and comfortable foam design is easily transportable. The cushion is widely popular within the NHS and other care industries, and the inflation pump, puncture repair kit and two-way stretch cover ensure that the Cushion provides excellent longevity. The average height from the Trochanter to the bottom of the Ischial Tubersorities is 7.5cm, and Roho discovered that if a product could mimic this depth you had the perfect envelopment characteristic. 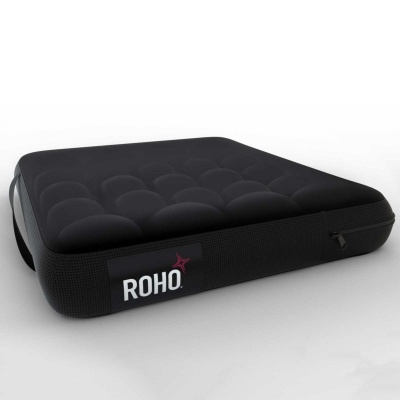 Roho combined this with the effect of flotation in water through air-based technology, and created a product that offers exceptional support and comfort. They use Dry Floatation technology in a wide number of products, including the Roho Mosaic Pressure Relief Cushion. The innovative technology has put Roho ahead of the rest of the market, turning the company into one of pressure cushion's must trusted brands. Who Can Use the Roho Mosaic Relief Cushion? *This list of indications is for guidance only and does not constitute a medical opinion. Please consult your GP, consultant or physiotherapist in order to obtain a medical opinion as to which pressure relief cushion is most suitable for your requirements before purchasing. 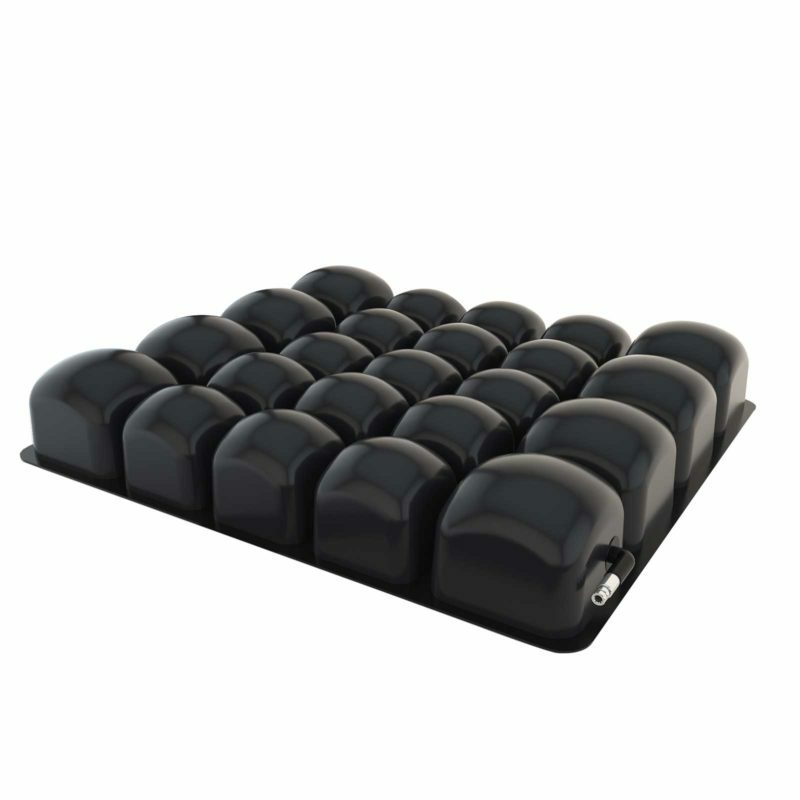 The Roho Mosaic Pressure Relief Cushion is available in six different sizes that should suit most users. The measurements below are measured first across the width of the cushion from left to right, and then the depth of the cushion from front to back. 43cm x 43cm 17" x 17"
46cm x 41cm 18" x 16"